It’s a Wednesday afternoon in Creative Experience, and Teo Tioliendo is putting final touches on the manuscript for The Lion and the Dove, an EBook he is about to publish. The illustration of a golden lion that he is meticulously resizing and positioning until it is just so is one of his original paintings. Teo is a writer, painter, and publisher, but these titles don’t cover his long and varied career. He started making art at age 7 and started writing about 25 years ago. These days, he combines these passions as an independent publisher in a series of books that he produces, partially in Creative Experience. After working as a clerk in the 22nd circuit court and as a letter carrier for almost 20 years, Teo retired last year and now focuses on his art full time. 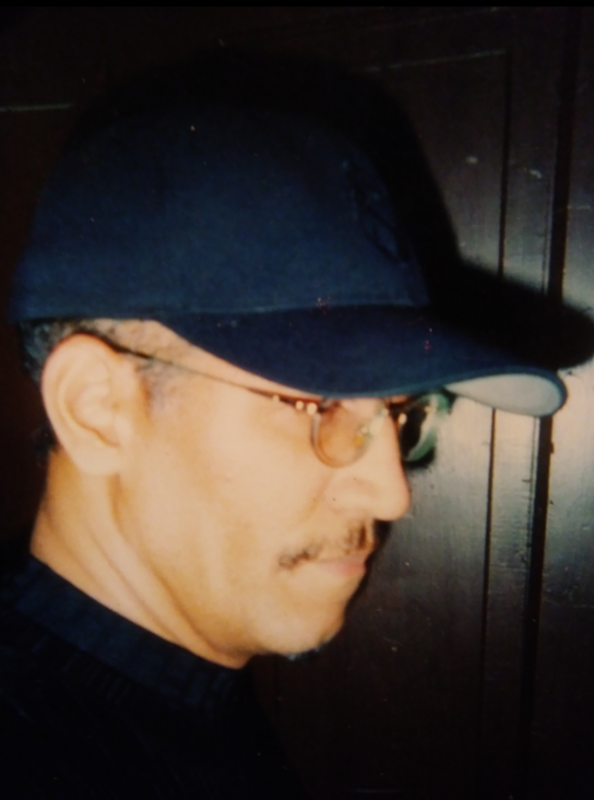 He founded Twinteum Publishing Company and serves as a literary agent to other authors as well. He plans to open a gallery soon. Teo describes himself as an Art CEO. Teo grew up in a creative household. His mother was a painter and musician and his father was a craftsperson. As a child, Teo visited the St. Louis Museum of Art and was deeply inspired. Van Gough’s paintings particularly struck him. Later, he wrote his first book after taking a young relative to an art museum in Los Angeles. Teo remembers reigning in the mischievous 4-year-old by telling him a story. This became the basis for The Boy Who Opened Doors, which grew into six books for kids and adults. The main characters, a little boy who loves art and an African time traveler, appear in various books and plays, as well as in his paintings. “I’m an artist looking for inspiration,” Teo says. He finds that in writing and illustrating and in the stories that he hears from around the world. 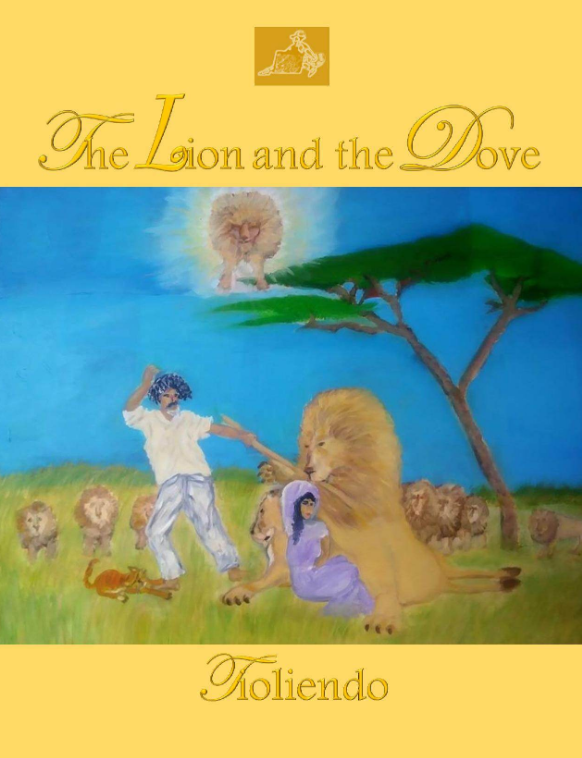 The Lion and the Dove draws on current events including the issue of child brides in Ethiopia, for example. Teo has traveled extensively, and he says those experiences have made him a better person and a better artist. His writing influences include The Odyssey, stories of The Bible, the letters of Leonardo Da Vinci, and the unabridged versions of Alice in Wonderland and The Wizard of Oz, which inspired him to write children's books. Nonfiction is also an important part of Teo’s work, and he considers his most significant book to be Paintings in the World of Light (2016), which includes essays on writing, art, and philosophy. Teo studied Creative Writing and Philosophy at Washington University and Studied Art History at the University of Missouri and Fontbonne. He has written 24 books, and he produced half of those in Creative Experience. Teo has exhibited his oil paintings in various venues, and he was the inaugural artist to show work at Schlafly Library. On December 1, Teo returns to Schlafly Library for an art exhibition and book signing for three new books, including The Lion and the Dove. Please join him for the festivities from 2-6 p.m. Check out Teo’s art and books online, and follow him on Facebook and Instagram.